Found by Michael Fallone in the Glasgow area. 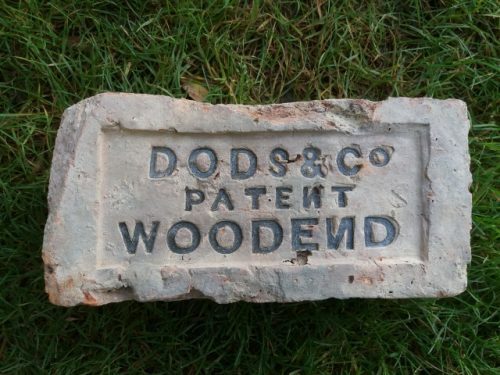 Dods & Co, Woodend Brick & Tile Works, Partick. 1884 -85 – Goldie, James & Son, brickmakers ; Works, — Sandyacres, Langside road, Coplawhill, Victoria road, Shawfield Toll, Rutherglen road, and Woodend, Crow road, Partick. Found by Andrew Gemmell in the Milngavie area, Glasgow. William Gilchrist Crow Road Partick (18)83 William Gilchrist, Brickmaker, Woodend, Crow Road, Partick. House at work. Orders left with James Goldie & Son, 40 St Enoch Square, Glasgow . . . .
Found by Tucker Kennedy at Fort William. 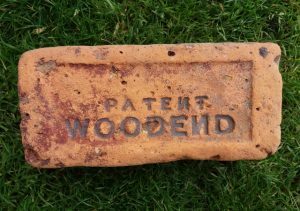 Woodend, Claythorn & Skaterigg Brick, Tile & Drainage Pipe Works, Crow Road, Partick. 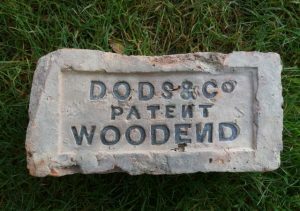 Dods & Co, Woodend Brick & Tile Works, Partick. . . .